* Stainless steel case with a brown alligator leather strap. Fixed rose gold PVD bezel. Silver dial with rose gold-tone hands and alternating stick and Arabic numeral hour markers. Date scale around an inner ring. Minute markers around the outer rim. Dial Type: Analog. Luminescent hands and markers. Date display around an inner circle. Automatic movement. Scratch resistant sapphire crystal. Screw down crown. Skeleton case back. Case diameter: 40 mm. Round case shape. Band width: 20 mm. Deployment clasp with push button release. Water resistant at 100 meters / 330 feet. Functions: date, hour, minute, second. Dress watch style. Watch label: Swiss Made. Oris Big Crown Pointer Date Automatic Silver Dial Mens Watch 754-7679-4361LS. * Shine a little light on a problem with this set of three dimmer lights from MerchSource. The battery-operated LED lights feature magnetic and adhesive backings for easy placement anywhere. * - PurePulse Heart Rate tracks your heart rate so you can monitor your health and your workout- Get fit with timed workout routines with Fitstar, right on your smartwatch!- Receive mobile notifications, play music, and set alarms from your wrist!- Color touchscreen vividly displays time, fitness data, and more!- Multi-Sport Tracking Connected GPS technology features different sport modes and tracks your time and distance!- Battery lasts up to five days on a single charge! * Isaac Mizrahi and HP redefined the smartwatch with a design engineered for the modern woman. From busy days to late nights, this elegant timepiece seamlessly blends fashion and smarts, for the stunning way to stay connected. * Stainless steel case with a blue (aged) leather strap. Uni-directional rotating stainless steel bezel with a blue aluminium top ring. Black dial with luminous silver-tone hands and dot hour markers. Minute markers around the outer rim. Dial Type: Analog. Luminescent hands and markers. Tudor calibre MT5602 automatic movement with a 70-hour power reserve. Scratch resistant sapphire crystal. Screw down crown. Solid case back. Round case shape. Case size: 41 mm. Deployment clasp. Water resistant at 200 meters / 660 feet. Functions: hour, minute, second, chronometer. Luxury watch style. Watch label: Swiss Made. Tudor Heritage Automatic Chronometer Black Dial Mens Watch M79230B-0007. Seize the deal before it’s gone. Check out Fossil Q Men's Commuter 42mm Hybrid Smart Watch at Macy's now. Find more discounts and offers from Macy's just at CouponAnnie in April 2019. Seize the deal before it’s gone. Check out Seiko Men's Watch w/ Stainless Steel Bracelet at eBay now. Find more discounts and offers from eBay just at CouponAnnie in April 2019. * The Breed Dixon has a 316L surgical-quality stainless steel case, containing a Japanese quartz movement. A non-glare scratch-resistant mineral crystal provides a clear view of the engraved pattern dial. The case is highlighted with a logo-engraved stainless steel caseback. A genuine leather-band strap is fastened by the logo-engraved stainless steel clasp. The timepiece features luminous hands & markers, a date display, and a 24-hour sub-dial; while offering a water resistance of 5 ATM. * The Ironman Run watch by Timex is perfect for any athletic man. This watch is made with a resin band and case. These long-lasting materials guarantee extended use of the product and a satisfied owner. The black band, digital dial and not applicable hands add to the tough exterior. This piece is also crafted with a sturdy mineral crystal to protect the dial and is powered by a quartz movement to ensure you are always covered. Additionally, this product is water resistant up to 50 meters / 165 feet / 5 atm, which is ideal for those who enjoy water sports. The durable hardware and unmatched quality of the Ironman Run watch by Timex will help you accomplish anything you put your mind to. Seize the deal before it’s gone. Check out Oakley Catalyst VR46 Polished Black Sunglasses at eBay now. Find more discounts and offers from eBay just at CouponAnnie in April 2019. * This mens Casio watch has World time, automatic time calibration, sport timers, stopwatch, illumination and water resistance. This sleek and elegant Seiko men's watch is a great addition that will take any outfit to the next level. One really cool feature is that it's solar powered and features an easy-to-read 40mm case. This watch is on sale for just $59 with free shipping, but it's selling quickly so grab one now! * Strap: stainless steel bracelet with fold-over clasp; approx. adjustable circum. : 8.5"
Ashford has these CK watches on sale for $98. Knock another $50 off when you use this promo code during checkout! * Silver-tone stainless steel case with a silver-tone stainless steel bracelet. Uni-directional rotating silver-tone stainless steel with a blue and red top ring bezel. Dark blue dial with luminous hands and dot hour markers. Minute markers around the outer rim. Dial Type: Analog. Luminescent hands and markers. Day of the week and date display at the 3 o'clock position. Seiko Caliber 7S36 automatic movement with a 40-hour power reserve. Scratch resistant hardlex crystal. Pull / push crown. Skeleton case back. Round case shape, case size: 41 mm, case thickness: 13 mm. Band width: 23 mm. Fold over with safety release clasp. Water resistant at 100 meters / 330 feet. Functions: date, day, hour, minute, second. Dress watch style. Seiko 5 Dark Blue Dial Diver Stainless Steel Automatic Mens Watch SNZF15. 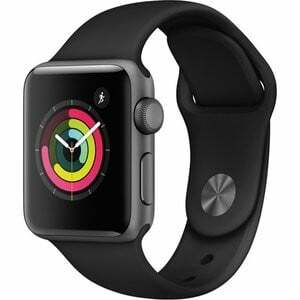 * This Apple Watch has been certified by our industry leading mobile diagnostic software to be 100% fully functional. It will show normal signs of use on the screen along with scratching and/or dings on the sides and back casing. This LTE cellular model will work with AT&T, Verizon, Sprint, and T-Mobile carriers. 3rd party USB charging cable is included. Original packaging is NOT included. Apple Watch will include the S/M and M/L size watch band. I use my Apple Watch every single day, and I've become so accustomed to using it for much more than simply telling the time. 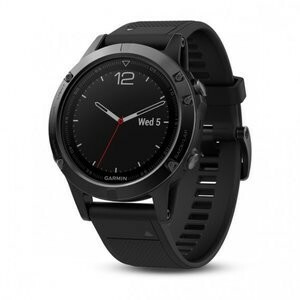 Right now B&H Photo is selling the Series 3 Nike+ GPS + Cellular version of this smartwatch for $125 off regular price with free shipping. This watch will monitor heart rate, track activity, count steps, guide you through breathing exercises throughout the day, and much much more. This company is currently observing the Sabbath, and their checkout will re-open tonight at 6:15pm ET. * Silver-tone stainless steel case with a black aged leather strap. Uni-directional rotating silver-tone stainless steel bezel. Black dial with silver-tone hands and dot hour markers. Minute markers around the outer rim. Dial Type: Analog. Luminescent hands and markers. Date display at the 3 o'clock position. Tudor Calibre MT5612 automatic movement with a 70-hour power reserve. Scratch resistant sapphire crystal. Screw down crown. Solid case back. Round case shape. Case size: 41 mm. Band width: 20 mm. Fold through clasp. Water resistant at 200 meters / 660 feet. Functions: date, hour, minute, second, chronometer. Additional Info: comes with additional strap. Dress watch style. Watch label: Swiss Made. Tudor Heritage Black Bay Chronometer Automatic Mens Leather Watch M79730-0003. * Use $20 off coupon code EXCZ60Stainless Steel Bracelet or Leather Strap. * Stainless steel case with a stainless steel bracelet. Fixed stainless steel bezel. Black dial with silver-tone hands and Arabic numeral and index hour markers. Minute markers around the outer rim. Dial Type: Analog. Date display at the 3 o'clock position. Chronograph - three sub-dials displaying: 60 second, 60 minute and 12 hour. Quartz movement. Scratch resistant mineral crystal. Screw down crown. Solid case back. Round case shape. Case size: 43 mm. Case thickness: 12 mm. Band width: 21 mm. Deployment clasp. Water resistant at 100 meters / 330 feet. Functions: chronograph, date, hour, minute, second. Casual watch style. Citizen Chronograph Black Dial Mens Watch AN3620-51E. * Stainless steel case with a stainless steel bracelet. Fixed stainless steel bezel. Black dial with luminous silver-tone hands and index hour markers. Minute markers around the outer rim. Dial Type: Analog. Luminescent hands and markers. Date display at the 6 o'clock position. Tissot calibre Powermatic 80 (C07.111) automatic movement with an 80-hour power reserve. Scratch resistant sapphire crystal. Transparent case back. Case size: 39 mm. Case thickness: 10.39 mm. Round case shape. Band width: 20 mm. Fold over clasp. Water resistant at 100 meters / 330 feet. Functions: date, hour, minute, second. Dress watch style. Watch label: Swiss Made. * Use coupon code SDCLASS399 to get the price! * Available in Black Dial or Silver Dial.FREE SHIPPING. * Titanium case with a blue rubber strap. Uni-directional rotating titanium bezel with a blue ceramic top ring. Blue dial with luminous silver-tone hands and index hour markers. Arabic numerals mark the 6, 9 and 12 o'clock positions. Minute markers around the outer rim. Dial Type: Analog. Luminescent hands and markers. Date display at the 3 o'clock position. Omega Calibre 8520 automatic movement with a 50-hour power reserve. Scratch resistant sapphire crystal. Screw down crown. Transparent case back. Round case shape. Case size: 37.5 mm. Band width: 18 mm. Deployment clasp. Water resistant at 600 meters / 2000 feet. Functions: date, hour, minute, second, chronometer. Luxury watch style. Watch label: Swiss Made. Item Variations: 232 92 38 20 03 001, 232-92-38-20-03-001, 232/92/38/20/03/001, 23292382003001. Omega Planet Ocean Co-Axial Blue Dial Mid-size Titanium Watch 232.92.38.20.03.001. * Citizen Sapphire Grey Dial Stainless Steel Ladies Watch EW240058H. 28 mm silver tone stainless steel case with a charcoal grey dial, a scratch resistant sapphire crystal, and rose gold tone hands and index hour markers. Minute markers around the outer rim. Date window at the 3 o'clock position. Logo beneath the 12 o'clock position. Hands: hours, minutes, and seconds. Case thickness of 9 mm. Push / pull crown. 14 mm silver tone stainless steel bracelet with a fold over clasp. Eco drive movement and water resistant up to 100 meters. Style: casual watches. Sapphire series. * Use Coupon Code AFFVETURI249 to get the price! * Silver-tone stainless steel case with a silver-tone stainless steel bracelet. Fixed silver-tone stainless steel bezel. Mother of pearl dial with silver-tone hands. Diamonds mark the 3, 6 and 9 o'clock positions. arabic numeral marks the 12 o'clock position. Dial Type: Analog. ETA Caliber F03.111 quartz movement. Scratch resistant sapphire crystal. Pull / push crown. Solid case back. Round case shape, case size: 27.95 mm, case thickness: 6.4 mm. Band width: 6.5 mm. Butterfly clasp. Water resistant at 30 meters / 100 feet. Functions: hour, minute, second. Dress watch style. Watch label: Swiss Made. Tissot White Mother of Pearl Dial Ladies Watch T0842101111601. * Stainless steel case with a stainless steel bracelet. Blue ion-plated bezel. Blue dial with luminous hands and index hour markers. Minute markers. world time cities. Navigation calculator markings around the outer rim. Dial Type: Analog. Luminescent hands and markers. Date display at the 3 o'clock position. Day of the week display. Chronograph - three sub-dials displaying: 60 second, 60 minute and 1/10th of a second. power reserve indicator. Eco-Drive H800 quartz movement. Scratch resistant sapphire crystal. Screw down crown. Solid case back. Case size: 43 mm. Case thickness: 12 mm. Round case shape. Band width: 22 mm. Band length: 8.5 inches. Fold over clasp with a double push button release. Water resistant at 200 meters / 660 feet. Functions: worltime, perpetual calendar, atomic timekeeping, chronograph, date, hour, minute, second. Sport watch style. Watch label: Japan Movt. Citizen Eco Drive Blue Angels Chronograph Mens Watch AT8020-54L. Short on budget? Keep more money in your wallet and enjoy Jewelry & Watches deals 2019 from your favorite retailers online at Couponannie. On this Jewelry & Watches deals page, you can easily narrow your search and get the best deals by category, store, brand and price. There's a nice picture of each product and key discount information, including the original price, sale price and price drop percentage that tell you whether this deal is worthwhile. Check them out to spend less money. Here at Couponannie, you can find huge price cuts in lots of products you could buy on Jewelry & Watches, including Personalized Jewelry, Bracelets, Earrings, Necklaces, Fine Jewelry, Anniversary Rings, Engagement Rings, Promise Rings, Wedding Bands, Fashion Jewelry, Men's Jewelry, Kids' Jewelry, Diamond Jewelry, Ear Piercing Kits, 3-D Printed Jewelry, Men's Watches, Women's Watches, Kids' Watches, Watch Bands & Straps, Watch Accessories, Pocket Watches, Watch Sets, and many more. Grab some of the best Jewelry & Watches deals and utilize your money smartly to save some extra bucks. Most importantly, bring it home at a cost you can afford when you use Jewelry & Watches deals at your favorite stores, like Charming Charlie, Zales, Blue Nile, Stella & Dot, Kay, JTV, BAUBLEBAR, Brighton, Jared, Tiffany & Co., Ross Simons, Dreamland Jewelry, International Gem & Jewelry, liquidationchannel.com, Jewelry.com, Tiny Blessing, SuperJeweler, Lia Sophia, Eve's Addiction, Precious Accents, ice.com, Monica Vinader, Wanderlust + Co, Sarraf Online jeweler, Jomashop, Ashford, Daniel Wellington, World of Watches, eWatches, AreaTrend, Island Watch, Jacob Time, Discount Watch Store, Watch Shop, Princeton Watches, 1:Face Watch, TeNo, Triwa, CertifiedWatchStore, Tokyo Flash, WatchCo, Dexclusive, Wristwatch.com, LunaTik, Modify Watches, Precision TIme, Watch It Canada, M CHRONO, NOOKA, and many more. If you shop online, make sure you read the return and exchange policies on retailers' sites. And to make sure you're getting a good Jewelry & Watches deal, search Couponannie for a coupon code or promo code that will let you save some extra bucks. But exclusions may apply sometimes, and discount applies to selected products or categories. Read them carefully, too. Avoid the hustle and bustle of the mall by shopping through Couponannie. Use our Jewelry & Watches deals 2019 to find the best deals of the day on thousands of items at every store.